THE 2018 STEVE MALKIN LECTURE "Innovation in Abrasives: Role of Grinding Science and Education"
Saint-Gobain was founded by the French king Louis IV in 1665 to make mirrors for the Palace of Versailles. Today, Saint-Gobain operates in 67 countries with close to $50B in sales and innovates constantly to improve the daily life of people around the world. Our Abrasives business unit originated as Norton Company in 1885, has been innovating since then to improve manufacturing field across many sectors. This talk will focus on various innovations that have come about in the Abrasives industry, including the grains, bonds and structure that provide improved productivity, well-being and functional performance for our customers. Various specific innovations will be presented, along with their associated scientific nuances. The roles of Prof. Malkin and other eminent scientists/teachers in explaining and leveraging the science & engineering of the grinding process to bring about innovation in abrasives processes will be elaborated. A few thought about the ‘new world’ of opportunities for advancing abrasive products and solutions for next generation manufacturing processes will be presented. Although this talk focuses on the abrasives industry, the role of educators and the science of learning is common to innovation regardless of which industry we are in. Collaboration between academia and industry will continue to be an essential part of maintaining a culture of innovation for decades and centuries to come. We will conclude the discussion by contemplating a simple framework of ‘learning’ and how Industry-Academia can solve bigger problems together. Anand Tanikella is currently the worldwide Vice President of R&D for Saint-Gobain Abrasives based in Massachusetts, USA. Prior to this, Anand was the founding Director of Saint-Gobain Research India, the 7th transversal R&D center of the group in Chennai, India. 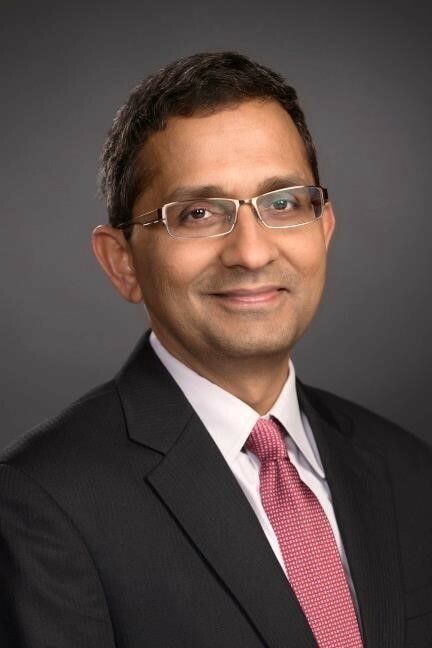 Anand joined Saint-Gobain in 1996 in USA as a Senior Research Engineer in Saint-Gobain’s North American R&D Center in Northborough, MA in the Boston area. He held various positions with increasing responsibilities during the past 22 years, conducting breakthrough R&D in technologies related to Ceramics, Abrasives, Plastics and various Construction materials. He is experienced in technology management, bringing out profitable innovations and passionate about influencing the impact of engineering education on industrial innovation. Anand received a Ph.D. in Materials Science & Engineering and Precision Engineering from North Carolina State University in 1996 and a B.S. in Mechanical Engineering from Andhra University, India. He has authored numerous international journal publications and holds over 15 patent families with several in process. Throughout his career, he has been active in technology education and was a part time faculty member at Northeastern University in Boston, Massachusetts.